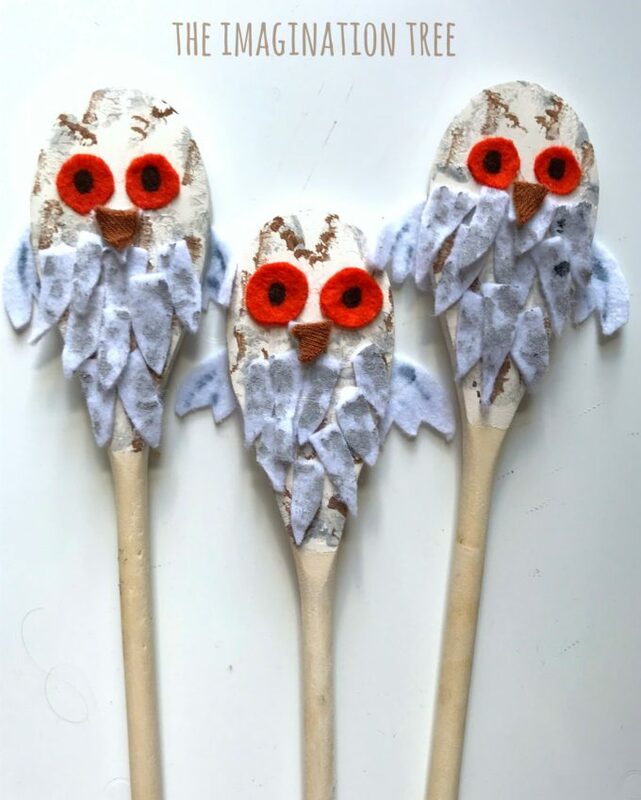 Make some gorgeous Owl Babies Story Spoons for storytelling fun with young children! 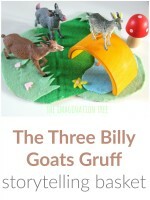 Great as a resource to use at home or during a literacy session in the classroom, your kids will love interacting with them as they tell their own version of the story. 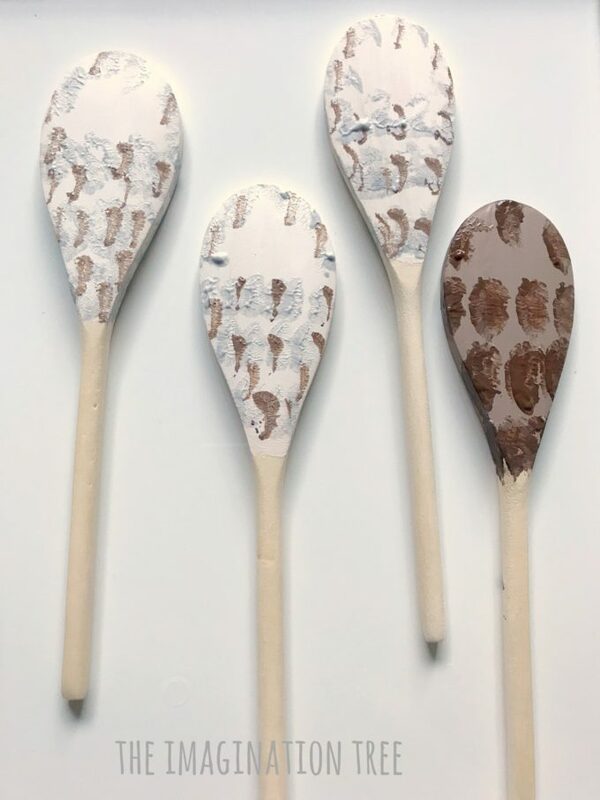 Start by painting three wooden spoons with white acrylic paint and leave them to dry. Paint a fourth spoon light brown. 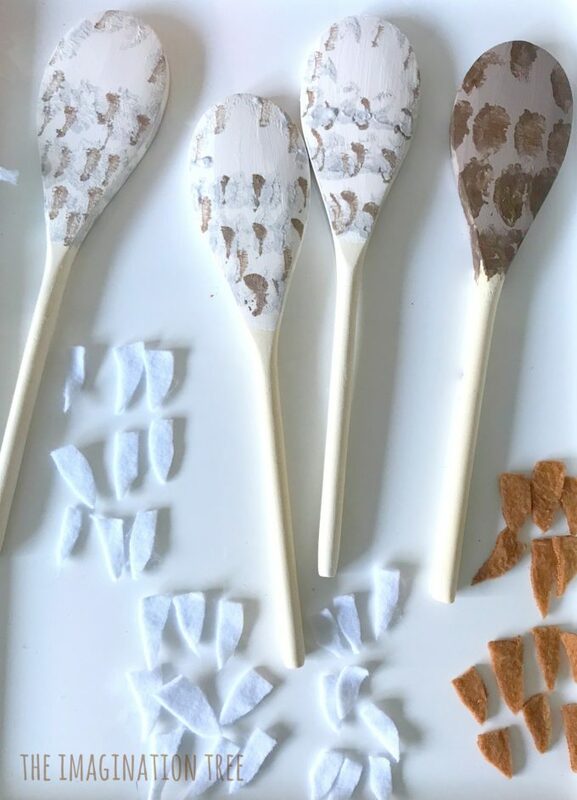 When dry, add light grey and brown speckles (using the edge of a paint brush pressed lightly) in slightly overlapping rows, to create the effect of dappled feathers. 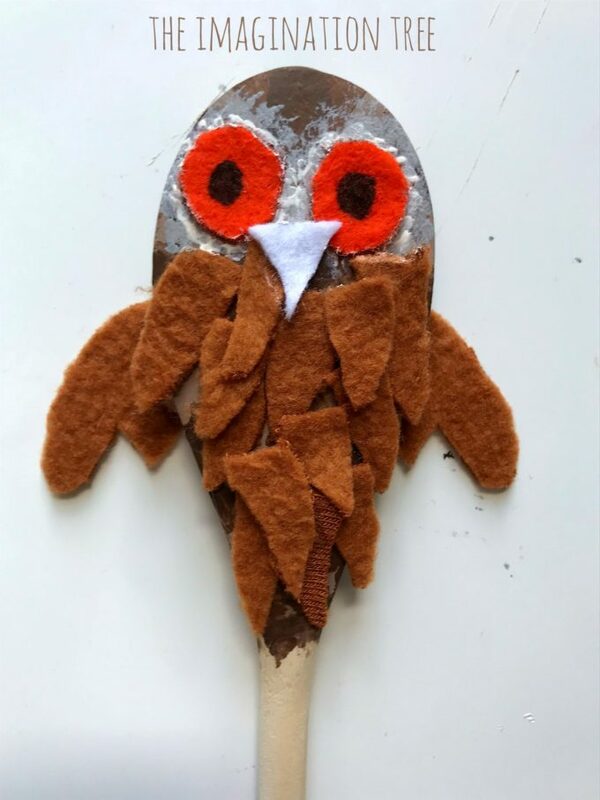 Do the same for the brown spoon using darker brown shades. 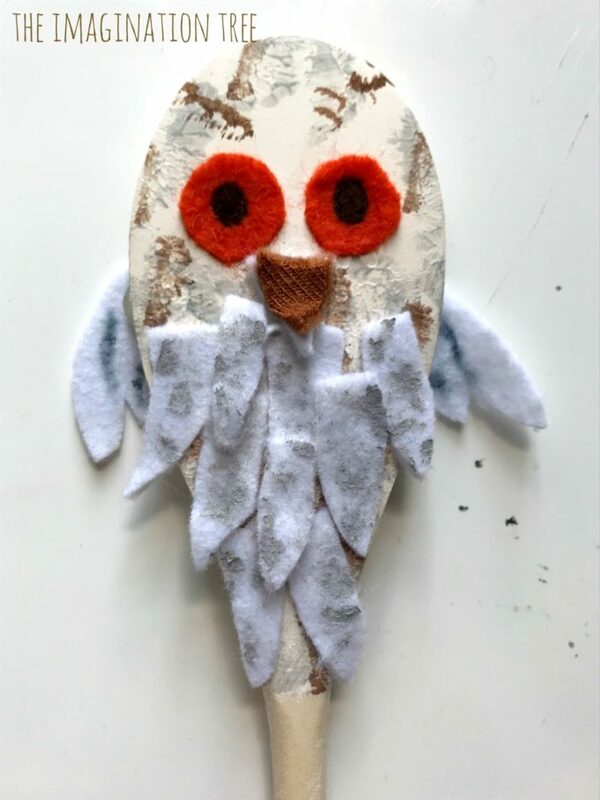 Next, cut lots of small feather shapes from the brown and white felt and glue them onto the corresponding owl spoons using fabric glue. I made them overlap to make them look a little more realistic. After this I added orange circles for eyes (I think I ought to have made these light brown really, so you do that part better when you come to it!) and added a pupil in the centre of each with black Sharpie. The beaks and wings were made in the same way, stuck firmly into place with the fabric glue. I went back to add more detailing around the eyes using brown acrylic paint afterwards. Onto the back of each I wrote their names using black Sharpie. 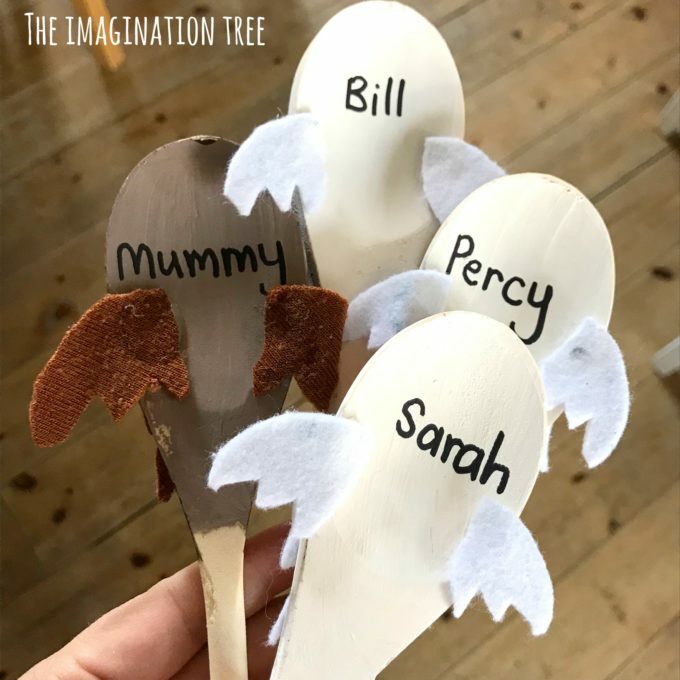 This helps both the adult storyteller as they use the spoons and the child as they begin to notice the words in the book and try to match them together! 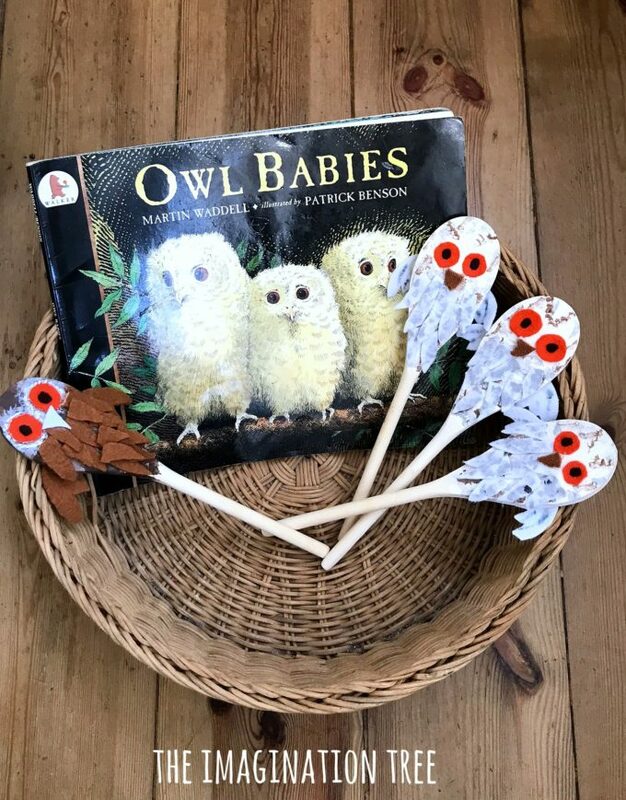 Simply set them out in a basket or story sack, or as part of a visible display, alongside a copy of the Owl Babies story book and possibly some sensory elements eg feathers, branches and leaves all ready to tell stories with! As a parent and teacher I would first tell the story, then use these as a prop to tell it with the book, finally using them without the book at all. 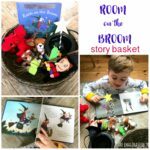 I would encourage my child to do the same, using them alongside the book first and then simply to retell in their OWN words, recounting the main elements of the story in the correct order as they do so. These are really important steps in early literacy development and should be happening before formal literacy teaching (ie reading and writing instruction) and also alongside that teaching later on. 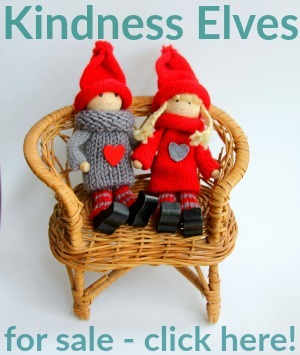 Storytelling and SPEAKING are the cornerstones of literacy development. 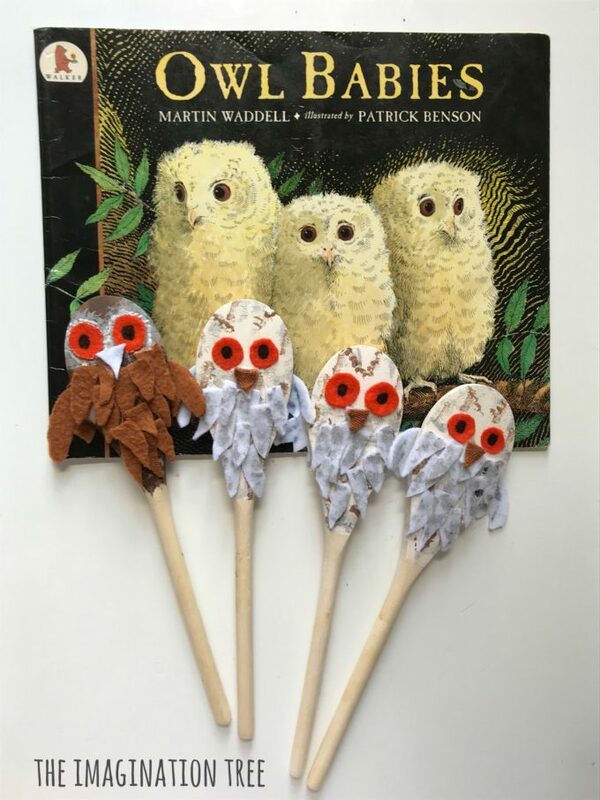 Story spoons, puppets, story baskets and other interactive props are an amazing way to bring favourite book characters to life and can really help consolidate learning too. 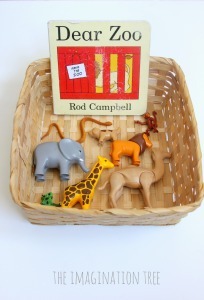 Having a prop to hold and use to retell the story in the correct order is a powerful tool for a young child and can be a great enabler for kids with English as an additional language particularly. 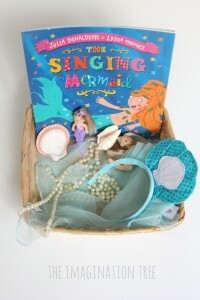 I am a HUGE, huge lover of early literacy development as it’s just a wonder to watch young children become immersed in a world of their favourite stories and characters. 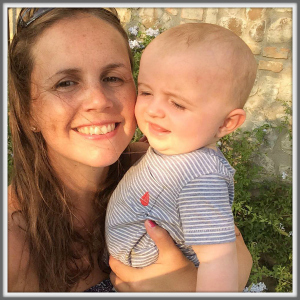 The journey from being a story lover to someone who can make marks, begin to decode words phonetically and then become a fully fledged reader and write is nothing short of remarkable to witness, and something that Early Years teachers have a real privilege to be involved with. 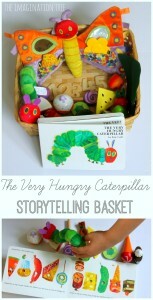 What makes stories and playful literacy wonderful is NOT the dreaded worksheet or awful writing templates, but playful and meaningful resources with which kids can become fully engaged. 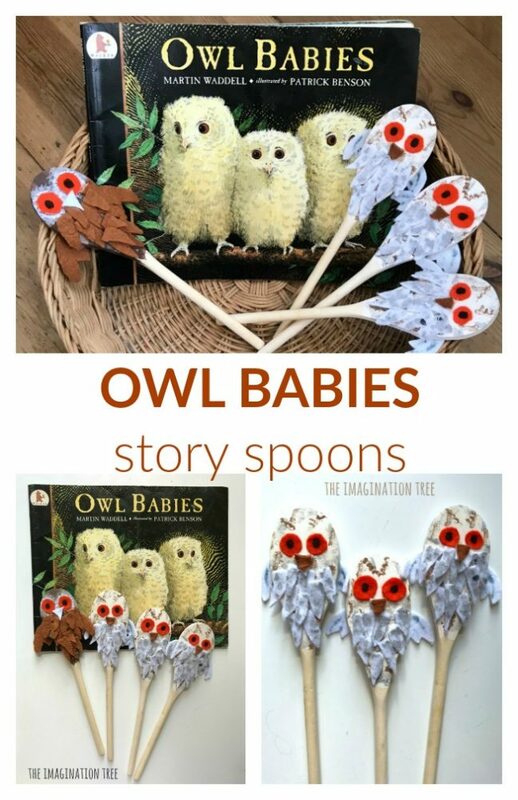 If you loved these Owl Babies Story Spoons please do share on social media to help spread the word! 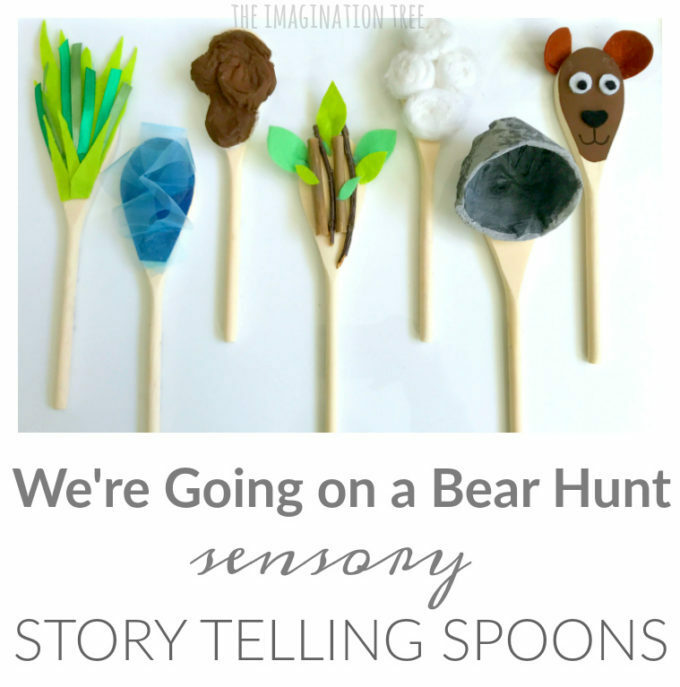 You will love our story spoons for We’re Going on a Bear Hunt too! 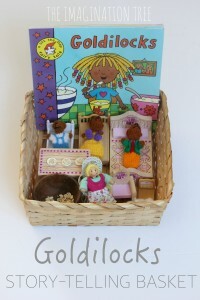 You may also love our PLAYFUL LITERACY archives which are chock-a-block with fun and engaging ways to learn about stories, phonics, rhyme and writing. Not a worksheet in site, promise!